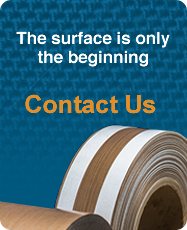 Precision Coating & Coated Fabric,Tapes, Belts (FTB) is a worldwide distributor of PTFE plastic coated fabric, belts, and tapes and provides a wide assortment of PTFE coated fabrics, PTFE coated tapes, and industrial belts and belting material. 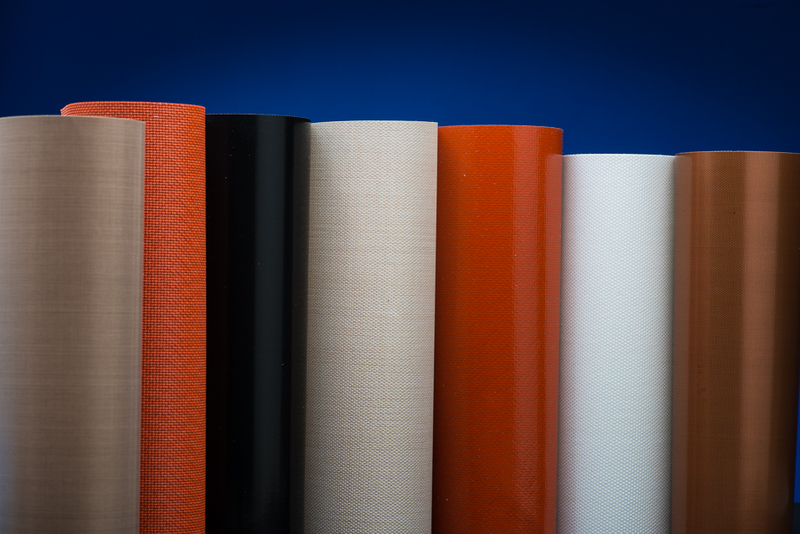 Our fabrics are made from woven fiberglass cloth with a clear PTFE coating. These plastic coated fabrics are non-toxic, odorless, tasteless, and are FDA compliant (21 CFR 177.1550) for use in food processing, packaging, and handling. They are dimensionally stabile from of -100°F to +500°F (-73°C to 288°C). Provides exceptional durability and extremely low elongation (<1%). Silicone coated surfaces exhibit excellent release characteristics and will release adhesive and viscous materials which often adhere to a PTFE resin. Precision's line of industrial PTFE Coated Fiberglass tapes are made to fit your application, whether it is high-temperature (500°F/288°C), requiring a silicone adhesive system, or low-temperature (up to 275°F), requiring an acrylic adhesive system. Precision’s line of film tapes are made from either a pure unsupported virgin PTFE (PRECISIONSKIVED™) or from ultra-high molecular weight polyolefin (PRECISIONUHMW™). PRECISIONSKIVED™ exhibit the characteristics of our PTFE coated fiberglass tape plus the advantage of being comformable. PRECISIONUHMW™ is more abrasive and puncture resistant, and offers exceptional low friction characteristics than our PTFE coated fiberglass tape. PRECISIONUHMW™ is suitable for applications up to 125°F. Our flexible, reinforced belts can be used in a variety of stand-alone and conveyor applications. They are dimensionally stable from of -100°F to +550°F (-73°C to 288°C). Each of our PRECISIONBELT™ PTFE plastic coated fabric belts are manufactured to custom specifications, depending on each customer’s individual needs. To help determine the best belt for your unique application, an experienced customer service representative is always on hand to discuss your requirements. Each PRECISIONSIL™ belt is fabricated from a woven fiberglass cloth that has been coated on one or both sides with white or red silicone rubber. This coating, combined with the excellent strength and dimensional stability of the fiberglass, results in a product appropriate for use in a variety of demanding applications.